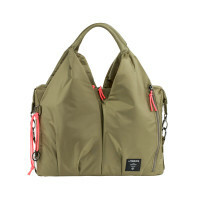 The Green Label Neckline Diaper Bag Choco, made from recycled post-consumer plastic bottles, promises sustainability with class. Finally, fashion, function and style come together with ecologically-produced materials. 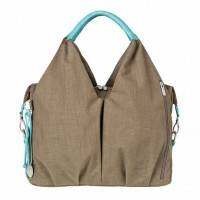 Product information "Neckline Bag, choco mélange"
The Green Label Neckline Diaper Bag Choco, made from recycled post-consumer plastic bottles, promises sustainability with class. Finally, fashion, function and style come together with ecologically-produced materials. 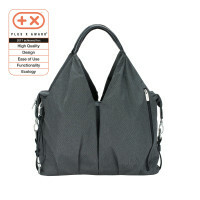 Therefore, the chic Neckline Bag is available in different colors with appliqués and a strap made of the finest imitation leather carrying the bag across their shoulder. On the inside one finds the standard convenience of a changing mat, accessories pouch, insulated removable bottle holder, a water-repellent wet compartment and a detachable baby food jar holder. 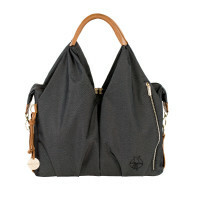 There is a convenient place for your cellphone in the outer pocket, and keys can be attached directly to the key chain. 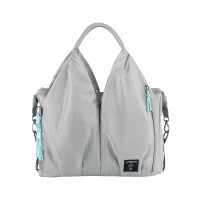 The Neckline Bag also has an insulated zippered compartment on the outside to keep drinks cool or warm. Naturally, the diaper bag can also be attached directly to the stroller. But fashion-conscious mothers also like to attract attention when shopping in town by carrying the bag over their shoulder. 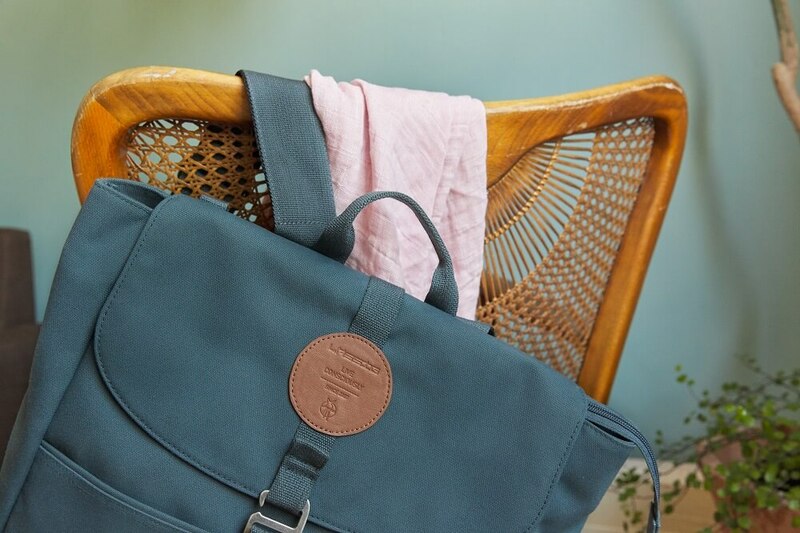 The perfect accessory for an exciting walk around town with your child and friend – even after a diaper change. The Green Label Collection stands for sustainable production. 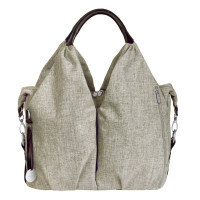 For our eco friendly diaper bags or diaper backpacks, we use either recycled or water- and energy-saving materials. 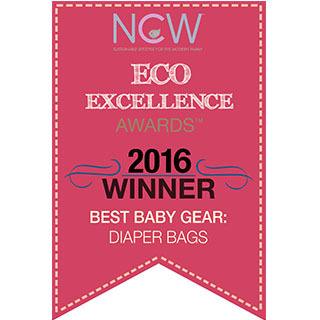 Sustainable Diaper BagThe CYCLEPET® Certificate guarantees that the fabrics are made from postconsumer, recycled PET containers and bottles. This process preserves not only resources, but above all energy.